Polaris Global BlogThere’s no stop to Polaris Global. Full stop. Thanks for your post Amy. A great reminder that I can be my own Stopper at times, and to use the Beyond Freedom Evolution principles to assist me to move past any obstacles. Cheers! 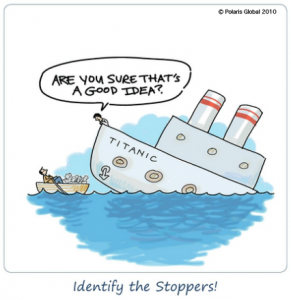 Awesome post Amy – a great reminder we have the tools to move past stoppers. A reminder post thanks amy. I mentioned on my first live I had obstacles i stepped back and throught what would i do?. Keep going and beyound.